Päivittäisissä tilanteissa tarvittavien motoristen taitojen arviointiin. 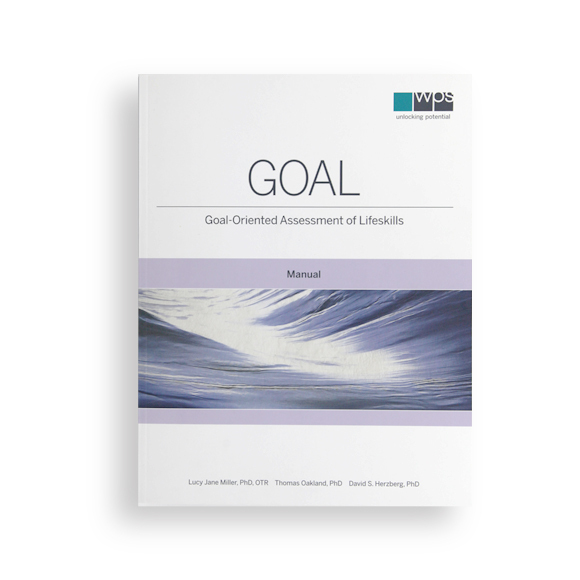 The Goal-Oriented Assessment of Lifeskills (GOAL) is an innovative new evaluation of functional motor abilities needed for daily living. 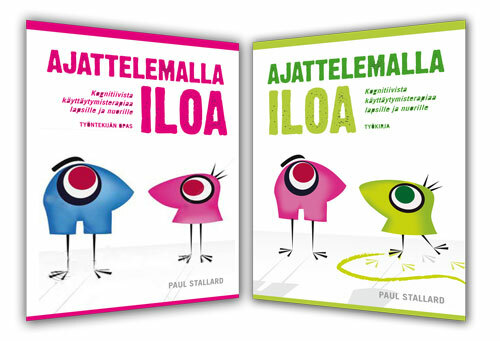 Designed for children 7 to 17, the GOAL consists of seven Activities, fun and motivating tasks based on real occupations of a child’s daily life. Each Activity is linked to Intervention Targets that help you turn assessment results into a specific, goal-oriented treatment plan. 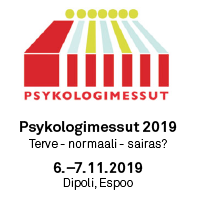 This standardized, psychometrically precise instrument offers an ecologically valid description of a child’s competencies and opportunities for growth in both fine and gross motor domains. The GOAL can help determine eligibility for special services and inform planning of occupational and/or physical therapy and adaptive physical education. It’s useful in a variety of settings, including schools, clinics, hospitals, and private practice. Although intended primarily for occupational therapists, it can be used by other professionals, including psychologists, physical therapists, and other childhood intervention specialists. In this individually administered assessment, the child performs seven Activities representing a range of functional tasks. Dr. A. Jean Ayres’ sensory integration theory describes many of the key concepts underlying the GOAL Activities. 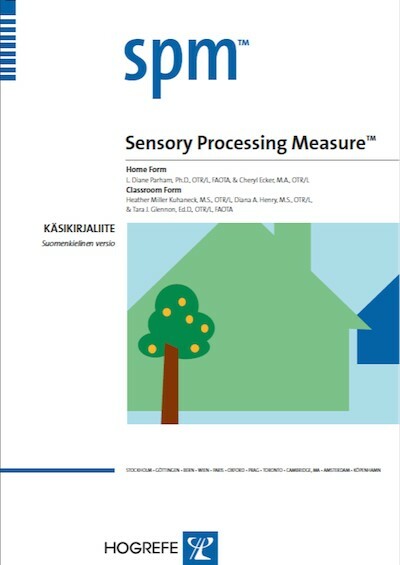 This theory proposes that processing of sensory inputs provides a foundation for development of cognitive and motor skills. The innovative Record Form follows the natural workflow of an assessment: from recording the child’s performance, through calculating and interpreting scores, to developing a treatment plan. The center panel of the form, the Progress Chart, allows you to graph the child’s overall functional ability and identify specific targets for intervention. On the right panel of the form are the Intervention Targets, which allow the examiner to link the child’s performance to specific intervention objectives. There are four columns on this panel—Sensory, Postural, Praxis, and Motor Proficiency—showing the Intervention Targets associated with each Activity. Each row of the Record Form has a set of Intervention Targets associated with the underlying component skills needed for that specific Functional task. The GOAL scores are based on 54 Steps—small units of easily observable, functional behavior within the seven Activities. These are scored based on three elements of successful functional performance: accuracy, independence, and speed. Using the Record Form, each Step is scored pass or fail; then the Step scores are summed to yield the Fine Motor and Gross Motor Standard Scores, as well as the Progress Score. The Standard Scores enable you to compare the child you are testing to peers of the same age and gender, and can help to determine eligibility for therapeutic services and placement in special education programs. The Progress Score is a single index of the child’s overall ability to perform functional tasks, and can be used to track improvement over time. Select the media tab to view a brief video demonstration of administering the GOAL. This video does not replace the manual instructions, and it is recommended that the administration section of the manual be read thoroughly. Additional training on the administration, scoring, and interpretation of results is offered through a full-day workshop provided by the SPD Foundation. Please visit www.spdfoundation.net for further details. The GOAL Activities were standardized on a sample of 616 children ages 7 to 17, drawn from all four geographic regions of the United States. A clinical sample of 152 children referred to occupational therapy for mild to moderate sensory and/or motor challenges was also collected. Statistical analysis of the GOAL demonstrates good reliability and validity. In addition, it also provides clear evidence that it is a useful tool for distinguishing typically developing children from clinic-referred children, including those with sensory and motor disorders, autism spectrum disorders, ADHD, and learning disabilities. Analysis of the standardization sample shows acceptable internal consistency correlations for both the Fine and Gross Motor Standard Scores (all >.75). These are consistently higher in the clinical sample (>.84), which represents the target population for the GOAL Activities. Internal reliability for the Progress Score is .90. Test–retest reliability data for the clinical sample demonstrate acceptable correlations of .76 for the Fine Motor Standard Score and .77 for the Gross Motor Standard Score. 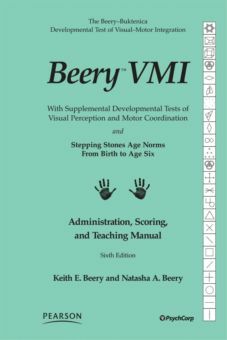 Convergent validity data were collected for four assessments: the Sensory Integration and Praxis Tests (SIPT), the Sensory Processing Measure (SPM), the Bruininks-Oseretsky Test of Motor Proficiency, Second Edition (BOT-2), and the Adaptive Behavior Assessment System, Second Edition (ABAS-II). Scores generally correlate in expected ways with these measures, showing acceptable evidence of construct validity. More information about the psychometric characteristics of the GOAL is included in Chapter 6 of the Manual.